The Newfoil can foil stamp up to 6 colors diecut and emboss labels. This press is perfect for small orders or foil decorating flexo printed labels. 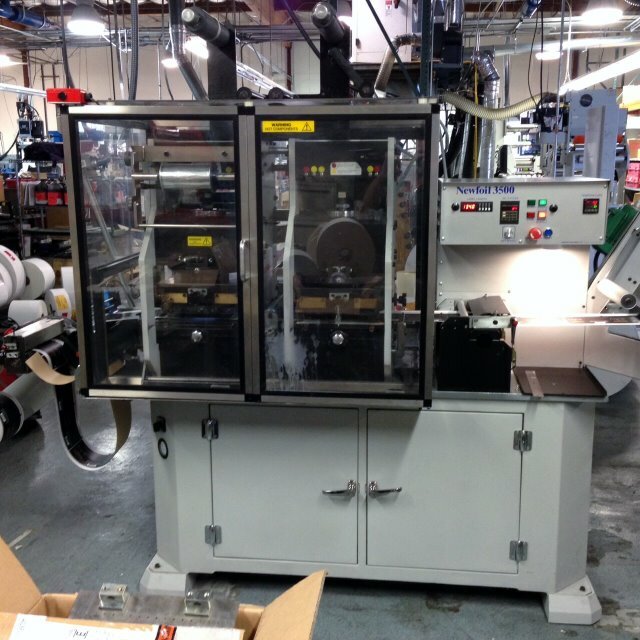 This Hotstamp press shines when it is doing Wine, Spirits or Cosmetic labels.